It is with great sadness that we have to report the news that Doug Clark passed away earlier today aged 85. 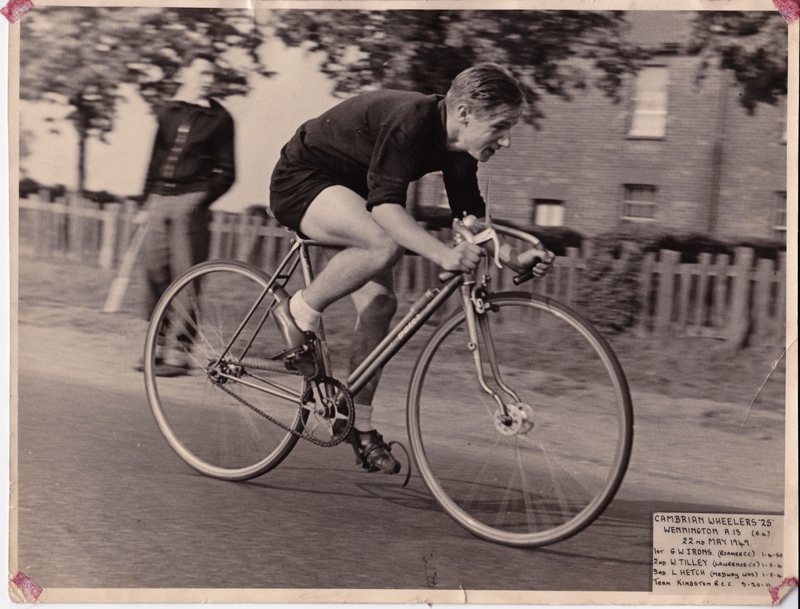 Doug was a keen cyclist and a wonderful friend of the Ivinghoe Velos. Up until recently he would join us on our post ride refreshments at the pub sharing his tales of tough rides and races. The picture above of Doug aged 18 really does capture the how great this man was. Please join us in sending our love and sympathy to his family and especially his devoted wife Daphne. Goodbye Doug, we will all miss you. It was another washout last week so the 10am rides are the same but the 9am is a brand new route from Mr Howe. Three rides again on offer this week, one of them recycled from last week as it didn’t get ridden. As always, please gather at the Rose and Crown in Ivinghoe wth enough time to depart at the time stated. You know the drill. Leaving the R&C at 10am for Tea and Cake. As fast as the slowest rider (avg 8-10mph). Forming a second group for faster riders if necessary. Three rides on offer this week. Many thanks to Dave Bembridge for sending in two of the rides this week. We leave the Rose and Crown at the times stated above so please aim to arrive with time to spare.